VMware virtualises computing, from the data centre to the cloud to mobile devices, to help organisations be more agile, responsive, and profitable. It is radically transforming IT with disruptive technologies. A pioneer in virtualisation, the software-defined data centre, cloud computing, policy-driven automation, end user computing and mobile solutions, VMware simplifies IT complexity across your entire environment. Phoenix Software continues to be one of VMware’s leading partners in the UK, retaining its VMware Premier Partner Status – VMware’s highest level of partner accreditation. We are also an Elite Business Mobility Partner (previously known as Elite End User Computing) and an End User Computing Strategic Partner. Additionally, we hold the VMware Academic Specialisation and a wide range of technical competencies across the full VMware portfolio, reflecting our continued investment and focus on the areas covered by VMware’s technology. Over the last few years we have been awarded UK, EMEA and Global awards by VMware for the solutions we design, develop, and deploy for our customers with awards for End User Computing, Enterprise Management amongst some of our accolades. We are very proud to be the current VMware Public Sector Partner of the Year for 2016 for the transformational solutions we are delivering into this sector. 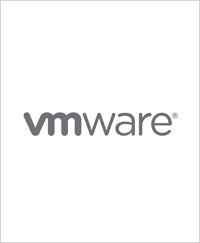 With a large number of VMware certified technical consultants and software licensing advisors within the business, we are able to deliver and implement efficiently licensed solutions for all VMware technology and can offer software compliance advice on VMware software and third party software running in a virtual environment. Our depth of knowledge and experience around the whole VMware technology stack means that we are perfectly placed to provide you with the best advice on which VMware products to choose and also the licensing implications of any solution that they are interested in. Found this useful? It’s good to share – just choose your platform.